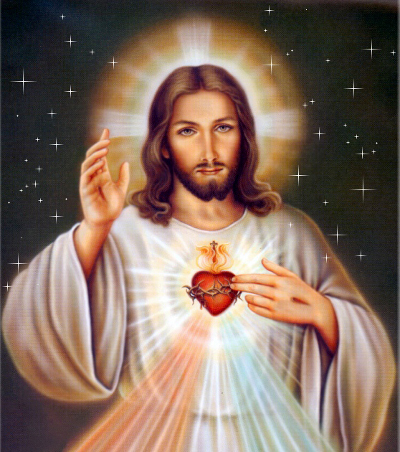 Today, June 8th, the Church celebrates the Solemnity of the Most Sacred Heart of Jesus. We recall with gratitude the love that Jesus has for all HIS children. What a tremendous mystery! It is my hope and prayer that we, as faithful followers of Jesus, can bring His love to all the people we encounter. In a world going through challenges of secularization we need the grace of turning to HIM, the source of our life and share HIS love, joy and peace with all around us. and the heart of the Eternal is most wonderfully kind. and our lives would be thanksgiving for the goodness of our Lord. The Missionary Benedictine Congregation of St. Ottilien has a special devotion to the Sacred Heart of Jesus. Founded in 1884 by Fr. Andreas Amrhein, the young group of monks and missionaries were entrusted to the patronage of the Sacred Heart. United in prayer with all our confreres around the world we implore the Sacred Heart of Jesus to watch over all our families, friends, benefactors and communities and to obtain from God the grace of perseverance in our own vocation. ministries. We remember you and yours in our prayer and especially at Holy Mass.